Where should you be located? How can you make it happen? We’ll help you through the process every step of the way. Having trouble deciding where your new dental dream office should go? Let us know! HJT has no problem working with you to scope out a few potential locations. It’s our pleasure to help make each and every step of this new journey a memorable and enjoyable one, so let us know everything you need help with. We can help give you ideas of possible high-traffic, residential, or urban locations that are apt to fit most, or all, of your needs. While many design consultants want nothing to do with you until you have your location, and, of course, their money, HJT is much different. 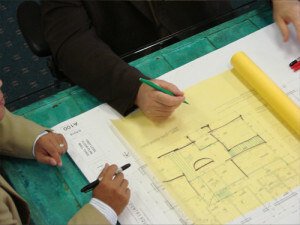 We provide full-range services that are able to help your company through just about every step of the design process, including property planning. With HJT, you’re getting a full-fledged experience which a team that genuinely cares about your company’s success. ‘We won’t succeed unless you do’ is a statement that we truly believe, and enact, here at HJT, so you can rest assured that your best interests are also ours. HJT is your number one choice in dental design consultants. Don’t allow other companies to bully you into design layouts that simply don’t meet your company’s needs. Trust HJT to design with you – the client – in mind. Working together, planning your location, and delivering your design on time is the experience you’re promised when working with HJT; let us achieve this for you, your future, and your business. Let us turn your dreams into reality.